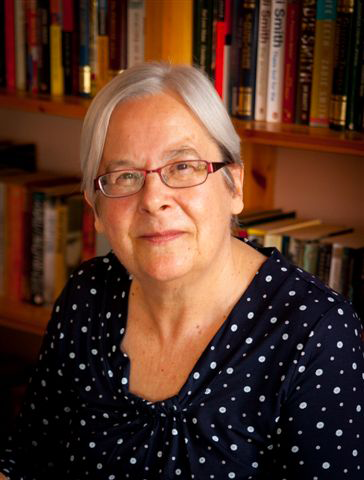 Joy Bounds is a Suffolk writer focussing on women's issues and women's history. She has published a wide range of books. A Song of their Own is a local history about the suffragettes whilst FarFrom Home is a novel about Joan of Arc. Her latest book covers new territory - 5:2 diet for Vegetarians. Joy also gives talks about local women and suffragettes’ activities, and in her spare time she loves to sing and work with other women on various projects. Ipswich women helped change the course of political life in this country! This local history book tells the story of what women in and around Ipswich did to achieve the vote for women. Joan of Arc is one of history's most puzzling figures. How in the fifteenth century could a peasant girl become the head of the French army, and have such success against the English occupiers? 8 days of meal plans and recipes for the low calorie days in the 5:2 diet. Each day's three meals are fully calorie-counted. This new cookbook, in print and ebook formats, follows the successful format of the first in the series - 8 days of fully calorie-counted meal plans and recipes - but this time inspired by all the delicious foods of other countries.